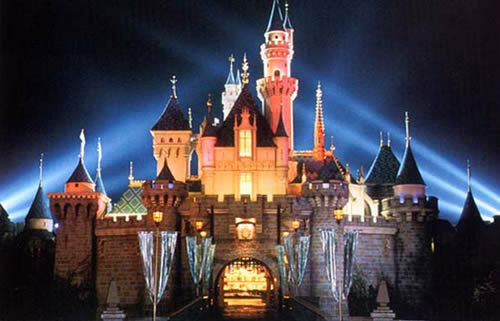 Disneyland Park, commonly known simply as Disneyland, is a theame park that was built under the supervision of Walt Disney, in person. It had it's opening July 18, 1955. Since then it has had more then 600 million visitors, more then any other theme park in the world. The park is divided into several lands that is dedicated to special themes. The different lands are Main Street, Tomorrowland, Fantasyland, Frontierland, Adventureland, New Orleans Square, Critter Country and Mickey's Toontown. In each land there are several attarctions. Altoghether the park contains 58 major attractions, with attraction meaning any kind of ride, show or exhibition. The opening of the San Francisco Bay into the Atlantic Ocean is named Golden Gate. Crossing the span is the Golden Gate Bridge, connecting the San Francisco Peninsula to Marin Country. 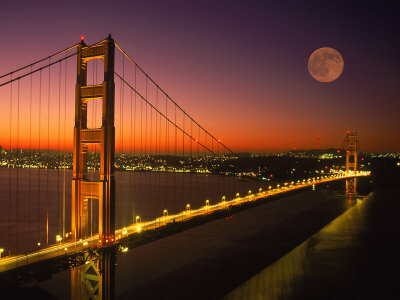 It is a widely recognized icon of San Francisco, California and USA. It has been declared one of the Modern Wonders of the World by American Society of Civil Engineers. It is also one of the most photographed bridges in the world. The bridge is a steel suspension bridge. It took took four years to construct and was completed in 1937. It is 2,7 kilometres long and 27,4 metres wide and the longest span is 1.280 metres long. A rather horrible record set at the bridge is the number of suicide jumps. In 2005 the official suicide count at the bridge passed 1.200, making it the worlds most popular site for the purpose. Only 26 people are known to have survived the fall. The Hollywood Walk of Fame stretches along fifteen blocks in the Hollywood Boulevard and three blocks in the Vine Street in Hollywood. It is 2,1 kilometres long. Embedded into the sidewalks, there are more then 2.400 five-pointed stars, made out of brass and tezzaro. The stars come in five different categories - motion pictures, broadcast television, audio recording, broadcast radio and theater/live performance. Each star contains the name of a famous entertainer or group of entertainers important to one of the categories, and is a public monument of their achievements. The walk is visited by approximately ten million people annualy.